We don’t treat a disease; we treat a person. Before we can diagnose the cause of one’s symptoms and prescribe treatment for a specific condition, we need to understand how their body, at this moment, is functioning — and that starts with vital signs. 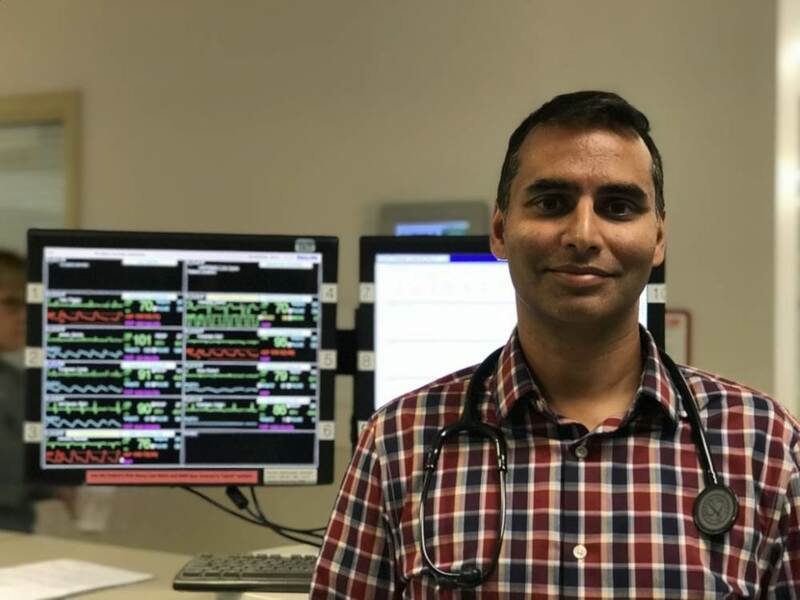 As Department Head of Emergency and Critical Care Medicine with Island Health, I have the good fortune of working in Emergency and Intensive at Royal Jubilee and Victoria General hospitals, touching on the broadest range of patients, including the very ill and critically-injured. I chose to pursue medicine because I wanted to provide all of our community members with the best in patient care — no matter who they are and no matter what they face, I want to treat them so they feel not only confident in the care they receive, but also supported through their most vulnerable moments. Every day, in every case I encounter, I seek out vital signs as the first indicators of a patient’s health — and continue to monitor and analyze these vitals throughout their journey. That is why I am so grateful for the support of the Victoria Hospitals Foundation in their latest campaign, You Are Vital, and help fundraise for upgraded patient monitors that will intelligently monitor and record a patient’s vital signs at all times. Vital signs have their name for a reason — they are vital! They allow us to get an insight into a patient’s physiology and life-sustaining functions. When a patient enters Emergency, triage nurses take vital signs immediately: they test body temperature, heart rate, blood pressure, respiratory rate and oxygen saturation. These indicators are a huge step in my decision-making process, who I see first and what further tests are needed. They are the numbers I consult before I even meet the patients. They also play a big part in determining where a patient goes after the Emergency Department — someone with abnormal vital signs, for example, may be directed to the Intensive Care Unit where they will receive one-to-one medical attention. When time is of the essence, the better the diagnostic tools, the better the chance of survival. Leading-edge equipment allows us to make quicker and more informed decisions. And when every minute matters, every second, every detail counts. With crucial information, at the right moment, we will sometimes pivot our response to a patient’s immediate condition, with lasting impact on their quality of life. · Decision-making — The new monitors have capabilities that alert our teams of any concerning changes or trends in a patient’s vital signs so that we may intervene more quickly. They can raise concerns of any subtle hints that cannot be detected by a physical exam. · Efficiency — They allow for informed decision-making at the point of care, whether it is at a bedside, during the transport of a patient or at a collaboration centre. Easily accessible, up-to-date information allows us to make important diagnostic decisions in a timely manner. · Connectivity — They allow the transmission of important, possibly life-saving information from any patient monitor to virtually any point of care in the hospital. This mitigates the need for us to manually input a patient’s vital signs, minimizing human error and maximizing the use of our time on patient care. · Intervention — They can deliver a diagnostic electrocardiography (ECG) test to record a patient’s heart activity. Now that these tests can be done with the monitors, it allows for more rapid treatment in potentially life-threatening situations. Thousands of patients, in fact most who come to Royal Jubilee and Victoria General hospitals, will benefit from these monitors. While no two patients are the same, every patient has a story that can instruct and inspire us, and I am grateful that community leader Robert Bateman has agreed to share his. While in the ICU at Victoria General Hospital, I was part of a collaborative cross-site team that assisted in his care. Today, thanks to equipment and technology funded in part by our community, we can continue to provide the best in patient care. We like to see people like Robert return home healthy, to their waiting loved ones so that they can continue to do what they love and derive meaning from. Please consider making a donation to the You Are Vital campaign so that we can give our patients the most precious gift of all: good health.